Often, we must travel for the luxury of using a swimming pool, but a lucky few have the comfort of having one in their own garden. Here are a few interesting pool designs that are trending now which the Pulse Design Build team can help you achieve. This is one of Pulse´s recent projects which shows not only a perfect shape which blends perfectly with the form of the villa, it also has combines a cascading set of LED lit waterfalls. This not only adds a focal point but also a tranquil ambience to the compact garden. What could be better than on a hot summer´s evening, sitting in the pool drinking a nice refreshing beer? 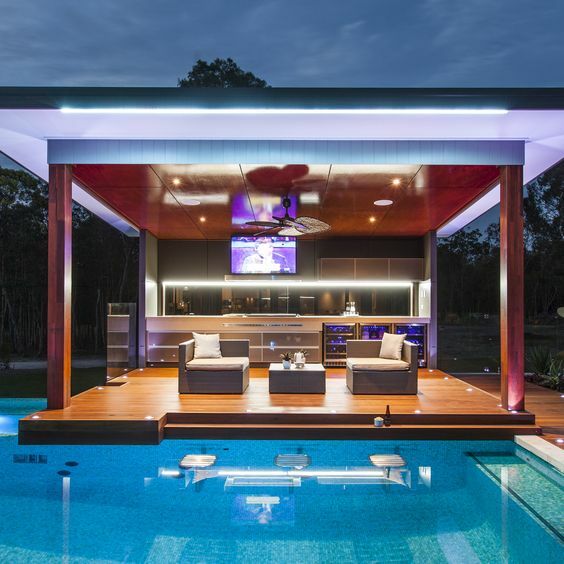 There are many design options that could result in incorporate a bar into your swimming pool project. This entry was posted in Uncategorised by gab1982. Bookmark the permalink.